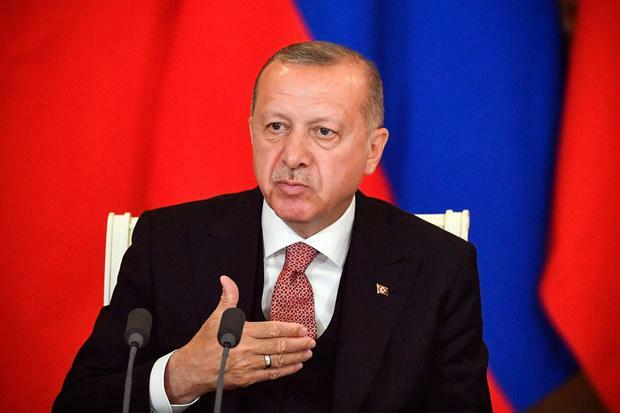 President Recep Tayyip Erdogan's existing plans to buy Russian S-400 missile defences have already alarmed the US, which says they are not compatible with Nato systems and would compromise the security of F-35 jets Turkey is due to receive. Washington has proposed to sell it the Patriot systems instead of the S-400s, while at the same time warning of sanctions and a halt in the F-35 fighter jet sales if the Russian deal goes ahead. Mr Erdogan, who held talks with President Vladimir Putin in Moscow this week, was quoted yesterday as saying the July date for delivery of the first S-400s could even be brought forward. Foreign Minister Mevlut Cavusoglu reiterated Turkey's stance the S-400 purchase was a done deal and that it would meet its defence needs from elsewhere if necessary. "If the United States doesn't want to sell, we may buy more S-400s or other systems," Mr Cavusoglu told Turkish broadcaster NTV. "If the F-35s don't work out, I will again have to procure the jets I need from elsewhere... There are (Russian) SU-34, SU-57 and others."